The Rocky McElhaney Law Firm has been pretty busy the last couple of years: winning cases, breaking ground on a state-or-the-art building, opening up two new divisions of RML, and, of course, fighting to protect our clients with everything we have. We’ve launched some new initiatives and campaigns over the last few years, too, based on Rocky’s two consecutive Best Attorney wins. But we are incredibly proud to announce that Rocky has been selected for inclusion on the Nashville Post’s InCharge Leaders list in the Legal Section. He is one of only a few in personal injury attorneys to be selected to this elite group – a selection determined by the Nashville Post’s house Editorial Staff. It may have come as a surprise to us to see Rocky’s name on the list, but we could not be more proud of him if we tried. In the last 12 months, Rocky has been making big waves in the Nashville business community. 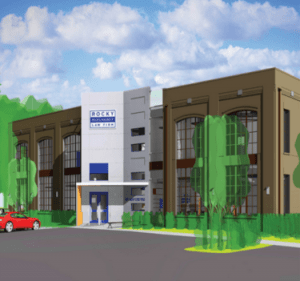 This spring will see the opening of our brand-new, 12,500 square foot, state-of-the-art offices in Hendersonville, which will house not only the law firm, but Rocky’s three newest business ventures: a family law division, a litigation funding company, and Rocky McElhaney Sports Agency (RMSA), a full-service sports management firm specializing in representation of NFL prospects and college coaches. 2017 will also mark the groundbreaking of a brand new brick and mortar location in Knoxville, Tennessee. On top of all that expansion, the firm has nearly doubled its revenue goals as well for the last two years. Since the firm rebranded in 2006, “It’s been both exciting and scary to set our short-term and long-term goals because we seem to blow past them at a skyrocketing pace,” says McElhaney. In fulfillment of a life-long dream, Rocky McElhaney became a fully-licensed NFLPA agent in October of 2016; on November 29, 2016, he opened RMSA. In those few short months, Rocky landed two rockstar clients: Von Pearson (a wide receiver for University of Tennessee) and Michael Birdsong (who played QB for Tennessee Tech). Only the leading top executives across Middle Tennessee who are setting the pace for growth, innovation and financial prosperity in Nashville are considered for this honor with Nashville Post’s Leaders Magazine. Once the Post’s staff has rounded up their picks for the city’s most elite group of go-getting professionals across several categories and fields, they are then narrowed down by the Post’s editorial staff once more and the remaining best of the best are named to their annual InCharge Leaders list. Given the successful strides Rocky has made in the 17 years of practice as a flourishing small business, the remarkable growth the firm has experienced within the last several years under his careful direction, and the grand expansion planned for 2017 we think it’s fair to say that Rocky’s name fits perfectly on this list. Being a leader was a role Rocky was born to play. We hope you’ll check out his full-length profile here. Congratulations, Rocky, on being named to the Nashville Post’s InCharge Leaders list. You earned it!